Ed and his wife, Marcia, have been married for almost 30 years. They have 5 adult children, 2 of whom are married, and one darling granddaughter. They attend church at Covenant Presbyterian Church in Issaquah where Ed serves as an elder. Ed and Marcia are on the Parents' Council for Biola University. Ed is a founding Board Member of Bellevue Farmers Market and Hineni Ministries. Additionally, Ed served as an Assistant Scoutmaster with Troop 3:16 of the Boy Scouts of America, as a USA Swimming starter and official and as the golf coach for Bellevue Christian High School. Ed attended the University of Southern California where he was the Co-Captain of the 1986 Pacific 10 Champion Golf Team. He received Academic All-American honors and capped his USC career as an assistant golf coach. He received degrees in International Relations and History. Following college, Ed played golf professionally in Australia, New Zealand, Canada, and the United States. A wrist injury forced his early retirement from the professional ranks. Ed turned his sights to law school and graduated from Thomas Jefferson School of Law in San Diego, California. He worked for three years in Newport Beach, California, handling all aspects of personal injury and medical malpractice cases. 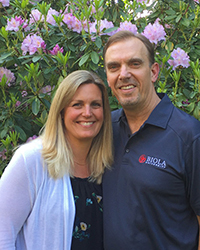 Eventually Ed and his family moved to Redmond, Washington and has been in the Seattle area since 1994 practicing personal injury law. Harper Law, PLLC is located in Kirkland, Washington and since its inception in 2005 has been serving clients in all aspects of personal injury and insurance claims. Harper Law is expanding to include Harper Mediation. Ed will use his extensive, compassionate legal experience and training to resolve cases fairly and cost effectively. Ed is licensed in both Washington and California.